Great record from DISCHORD'S longest running band. (And their only band not from D.C.). Pretty, pretty please reissue this monster. another classic. was this re-mastered? Brilliant album cover, maybe Daniel's best (and hey, great music too!). 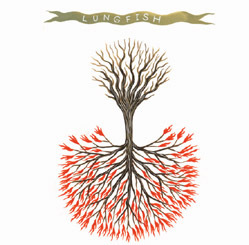 This is Lungfish's 10th full-length album, released in 2003.